The Rent Guidelines Board voted last night on the lowest rent increases for the city’s 1 million-plus stabilized rent units since 2002, the New York Daily News reported, and no one’s happy. Landlords claimed the increase, totaling 2 percent for one-year leases and 4 percent for two-year leases, wouldn’t cover rising costs and property taxes. But tenants advocates argued that any increase was unaffordable considering the current economic climate. Landlord representatives wanted 5 percent and 9 percent increases as property taxes rose 7.5 percent in the last year. Joe Strasburg, president of the landlord’s Rent Stabilization Association group, said the inadequate increases would hurt small property owners, in particular, as many of those buildings are exclusively rented to stabilized renters that already pay well below market rate. Posted in New York City Real Estate, NY Economics, NYC, Real Estate News and tagged Lanlord, Rent Guidelines Board, Rent Regulations, Tenant on September 6, 2012 by NY Living Solutions. It’s a rite of spring, but this year the composer is Stavisky, not Stravinsky. With the New York City Department of Finance issuing its annual property-tax assessments, State Senator Toby Anne Stavisky is again attempting to level the playing field for co-ops and condos. A Queens activist group has thrown its weight behind the measure — urging board members from all boroughs to join in supporting a law to treat co-ops and condos like residential property, and not, as now, higher-taxed commercial real estate. March 30, 2012 — The value of your co-op or condo is flat compared to last year. It might even be down. In fact, unless yours is one of those multimillion-dollar apartments that always seem to flip for millions more, your place almost certainly hasn’t seen any great increase in its value.Which makes 20- to 50-percent increases, which Bob Friedrich of the Presidents Co-op & Condo Council (PCCC) says the New York City tax department is assessing several Queens co-ops / condos this year, all the more difficult to understand.Except, not really. But whether it’s fair or not is another story. By “home” he means “co-op or condo,” not single- and two-family homes and townhouses. That’s because under New York State’s Real Property Tax Law Section 581, co-ops and condos are assessed as if they were “comparable” income-producing commercial properties — i.e., rental buildings. And rents generally tend to go up, regardless of what the sales market does. 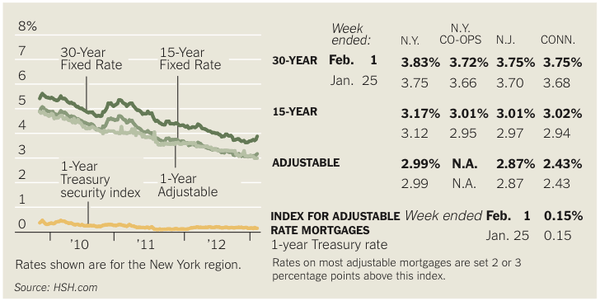 Posted in NY Economics, NYC, Real Estate News and tagged Commercial, condo, Coop, Dept. of Finance, Fairness, NYC, Owen Stone, Real Estate Tax, Real Property Tax Law, Residential, Section 581, Toby Anne Stavisky on April 11, 2012 by NY Living Solutions. 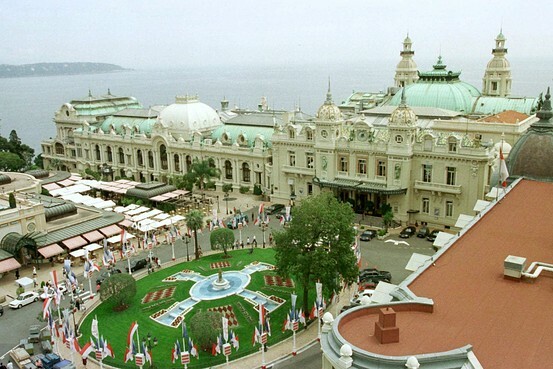 If you think real-estate in Manhattan or San Francisco is expensive, consider Monaco. The price of real-estate in Monaco — the world’s most expensive locale — is now an average of $5,408 a square foot, according to a report from Citi Private Bank and Knight Frank, the London real-estate firm. Spending $1 million will get you a 200 square-foot closet – presumably without a water view. The second most expensive locale is Cap Ferrat in the south of France, at more than $4,800 a square foot. That’s followed by London, at $4,534 a square foot, and then by Hong Kong, at $4,406 a square foot. New York is a relative bargain, coming in at number 17, at more than $2,161 a square foot (this seems to be a little high, even for Manhattan). The only other U.S. locations on the top 50 are Aspen, at number 39, with $974 a square foot, followed by Telluride ($760 a square foot) and Miami, at about $580 a square foot. Posted in Real Estate, Real Estate News and tagged Aspen, Cap Ferrat, Global Real Estate, Hong Kong, manhattan, Mexico, Miami, Monaco, Price Per SF, Real Estate, World, WSJ on April 8, 2012 by NY Living Solutions. “There was a great deal more rot … than we had anticipated when the project started,” said Gwen Dawson, senior vice president of asset management for the authority, at a Community Board 1 meeting Tuesday night. 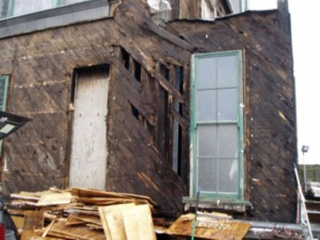 “There was a significant amount of water damage, rot and structural deterioration,” she said. Posted in New York City Real Estate, Real Estate News and tagged BPC, BPC Authority, Comuunity Board 1, Dawson, DNAinfo, Landmark, NYC, Pier A, Tourism on January 14, 2012 by NY Living Solutions.